Baseball games… Ahh the beauty of outdoor game watching. Even if it’s a regular game, a girl still has to look good right? We can’t just bum it out there! Especially if we’re going with that special someone or if we’re looking for the special someone, if ya know what I mean ;). 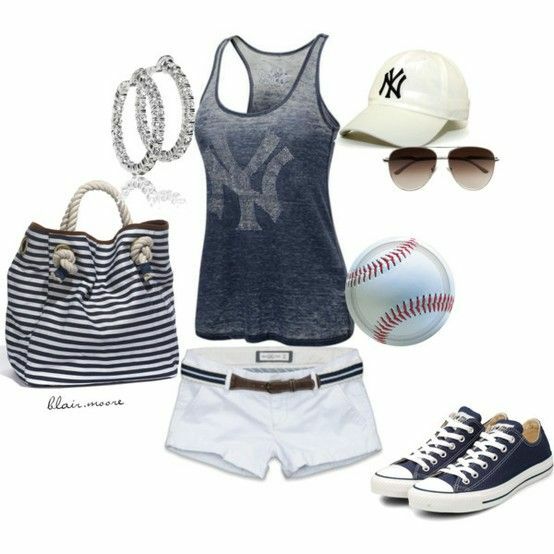 Here are 10 snazzy outfit ideas you can steal or mix and match to create that perfect fashionable and stylish baseball outfit. Like the Cardinals? 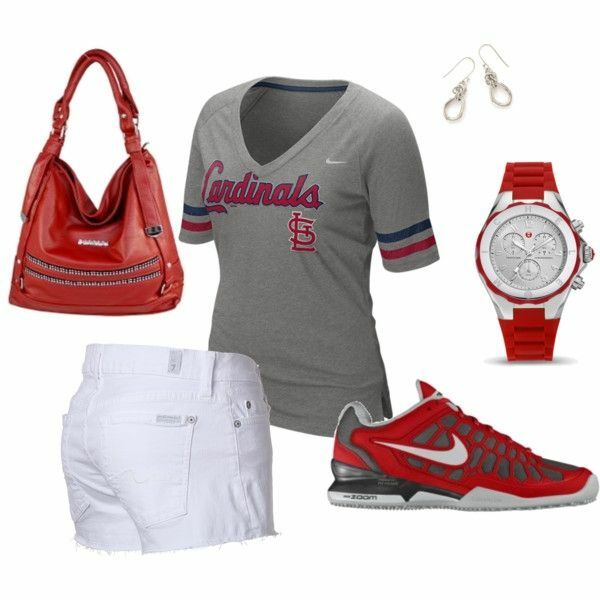 Here is a red color coordinated outfit to wear to a Cardinals’ game. A nice blue coordinated outfit with blue converse, gold round earrings, blue jean hollister shorts, and a blue zipper hoodie. 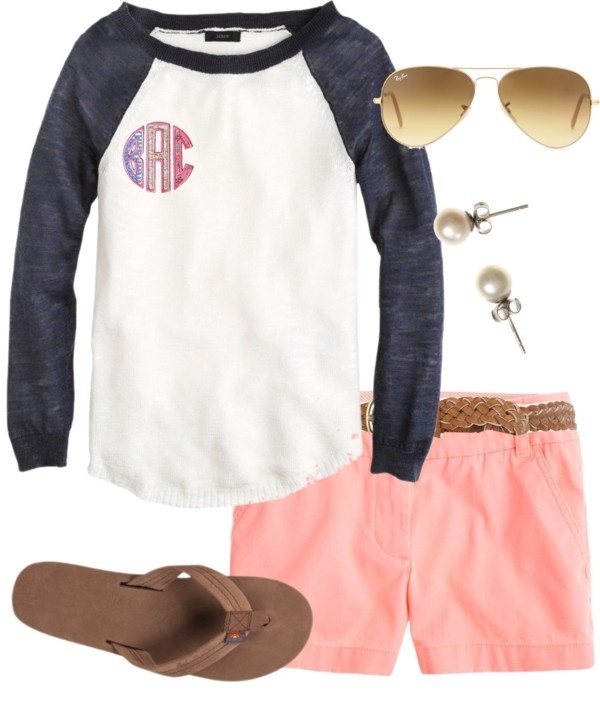 Rainbow sandals, pink shorts with a brown belt, and a baseball themed sweater blouse with dark sleeves. 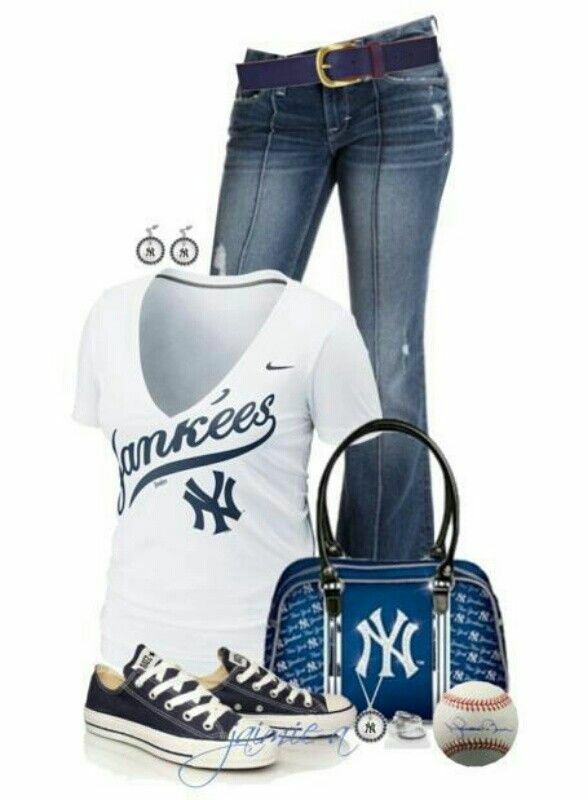 Another cute baseball outfit idea found on etsy.com. 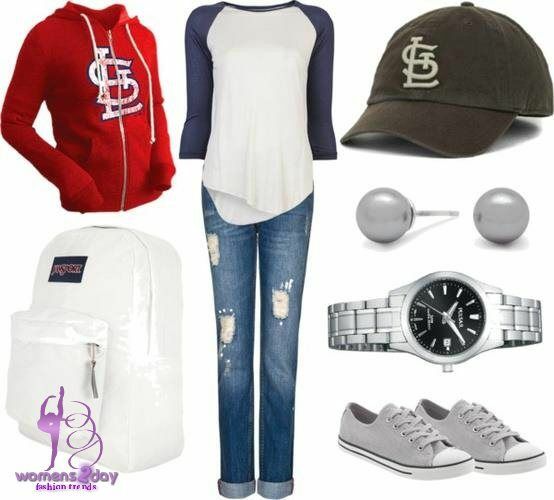 Baseball cap from Polo Ralph Lauren, blue sandals, pearl earrings, blue jean booty shorts, and a gray striped white sweater. 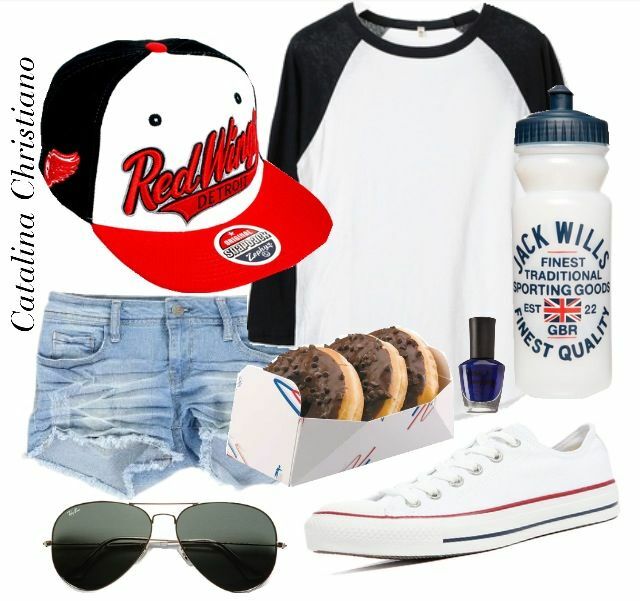 Nice gold watch and Ray Ban aviator sunglasses with brown sandals, a brown bag, dark blue booty shorts, more gold accessories, and a blue baseball cap. A cute blouse with brown sandals, gold watch, brown purse, blue booty shorts, and gold earrings and bracelet.